Some of you may have noticed that there have been a growing number of ebooks appearing in the catalogue. Many of you, however, may not. For all of the amazing convenience ebooks bring (especially for a non-lending library such as us), their tendency to appear in the collection without an opportunity to grandstand it for a week on one of our many new book displays is unfortunate. So, we’re going to curb this from now on with a steady stream of posts about the new ebooks huddling under the Arts, Music, and Performing Arts (digital) umbrella. 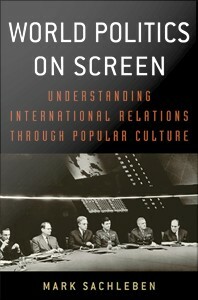 This week’s entrants are a grab-bag of titles (well… not as random as that sounds, as you’ll see) that look at how popular culture interacts with and affects our understanding of world events. 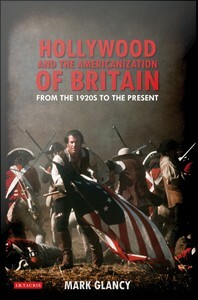 The first title, Hollywood and the Americanization of Britain, (hands up who thinks the title was (mis)spelled intentionally?) could easily be re-read to talk about our antipodean experience of big budget mainstream screen culture, in at least a broad sense. This title, though, looks more squarely at the re-shaping of British history through a lens from across the Atlantic, which often lends itself to distortions that favour a coherent and satisfying narrative arc over the messy reality of… well, reality. Comics as history, comics as literature, however, is a text that looks at a medium with a different problem – not one of being overly influential and taken too seriously, but kind of the opposite. Influence it has, sure, but it’s frequently engaged with as a fantastical medium, which can be a problem when referring to real world events. Course, people relax quite a bit when gazing on the fantastic, which can then allow for the contemplation of concepts that would otherwise be received with much greater scrutiny. The last new ebook title I’ll be bringing to your attention this week is one that takes a look at a less exclusively reflective and more proactively integrated and involved approach to artwork creation. 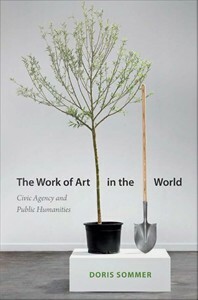 The work of art in the world draws on the thinkings of 18th century German poet/philosopher Friedrich Schiller, encouraging approaches to art-making that highlights its role in maintaining political freedom, both individually and collaboratively. Any registered user who is marked as a Victorian resident can access any of these ebooks wherever they have access to the internet. This guide is a helpful place to start if you’re unclear on any aspect of the use of our ebook collection.